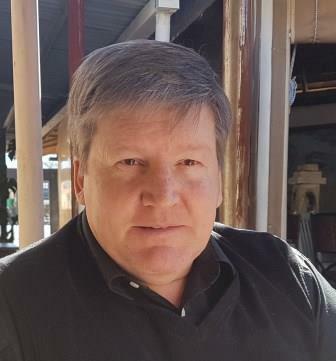 Frans is the owner of Peoplewise cc and consults in the fields of organisation effectiveness, business strategy and transformation, “business alchemy”, leadership development, talent management, coaching and mentoring. He is also a Professional Associate at GIBS, where he works as executive, group and action-learning coach, programme designer and integrator, as well as lecturer in a number of areas. Frans respects organisations that wish to see their employees learn, perform, thrive and enjoy their work lives, leading to greater mutual value for all stakeholders. For the last 30 years, Frans fulfilled various leadership and executive roles in HR, leadership development, project management and corporate turnarounds. He initiated and led projects that involved: leadership development, executive coaching; corporate universities; talent-, succession- and career management; corporate transformation or business turnarounds and organisation redesign; HR function transformation, HR information systems; business performance improvement, balanced scorecards; organisation effectiveness; cultural transformation, plus the stakeholder and change management supporting all of the above initiatives. In his last corporate role, as Director, Global Leadership Development, Frans was the programme director for the establishment of a global leadership centre in the financial services industry, and designed and implemented a global leadership development and talent management framework. He was also responsible for the roll-out of international coaching and mentoring services and screening of executive coaches. Frans is an ICF trained coach, anthropologist, and registered counselling psychologist and holds an MBA from Henley Management College. Frans has worked with small to multinational organisations in banking, technology, insurance, legal, development finance, contact centres, retail-FMCG television/investigative journalism, e-commerce, pharmaceuticals, petrochemicals, engineering-manufacturing, mining, consulting, and global community development. Frans is also a part-time faculty member and coach at other business schools/leadership development organisations. Frans has coached individuals and groups of executives and leaders on all continents, bar Australasia. He helps to unlock the magnificence of individuals and teams by stepping with clients into their world, challenging limiting elements through both deep inquiry and support so that they lead their own transformation. He believes in the invisibility of the coach during the engagement so that the client is empowered to develop independence and sustainable change, within the shortest possible time. He has lectured on various programmes in the fields of strategy and strategy implementation, corporate performance management, all aspects of people and talent management, coaching and mentoring. Helping with various job-creation, welfare and support programmes for military veterans from all sides of the “struggle” across Southern Africa, to overcome the trauma from their past and current experiences.